The popular Day Out with Thomas returns on the weekend of the 13th and 14th of April 2019. Tickets are now on sale for this popular school holiday attraction presented by The Bellarine Railway. 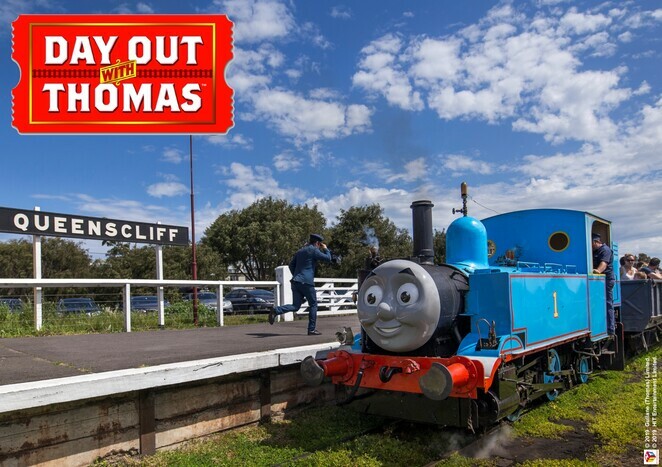 Day Out with Thomas is held at Queenscliff Station from 10am to 4pm daily. 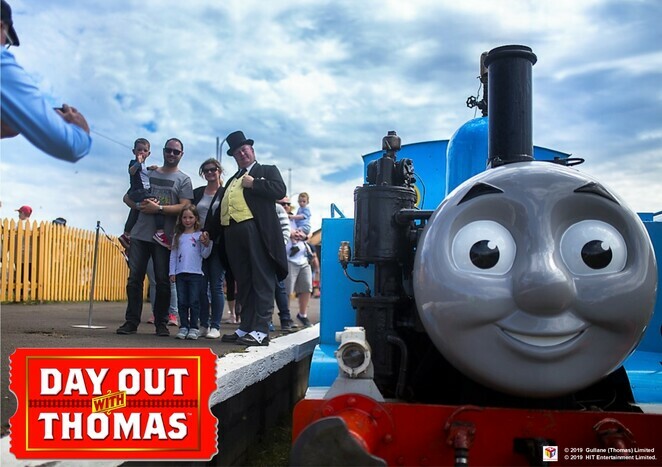 Suitable for all ages, this is an opportunity to spend a fun-filled day with Thomas, Henry, Oliver, Salty, Sir Topham Hatt and the Troublesome Trucks! 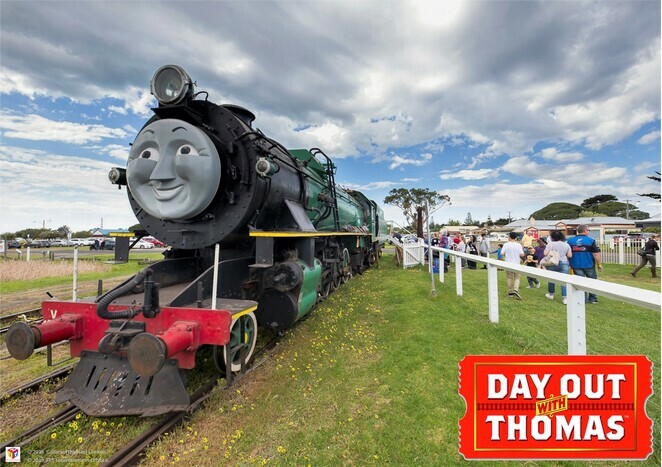 Tickets are valid all day and include unlimited activities and one train ride from Queenscliff to Lakers Siding at either 10.30am, 11.30am, 12.30pm, 1.30pm or 2.30pm. Find Henry and climb up to his Drivers Cab to blow his whistle! Child's activity bag with Junior Engineer Certificate, Thomas Tattoo and more! The station kiosk also has Thomas merchandise, souvenir, snacks, hot/cold drinks and ice-creams. A BBQ by the Clifton Springs Lions Club will also be on site! To avoid disappointment, online bookings are highly recommended. Tickets may be purchased at the gate on event days, unless sold out prior. Queenscliff Station is located ar Symonds St (bottom of Hesse St) Queenscliff. 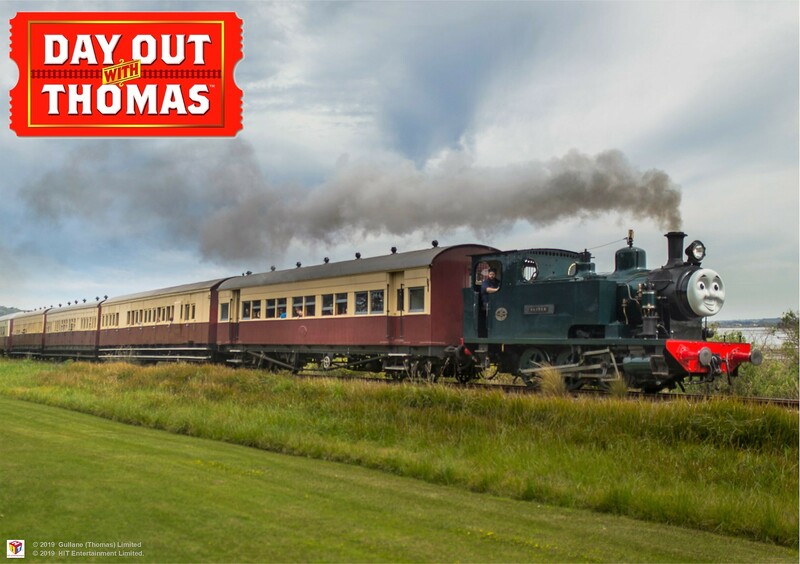 The Bellarine Railway is a not-for-profit, volunteer-run organisation offering steam train rides, train driver experiences, group charters, as well as family events and specials. Plan your visit to Day Out with Thomas today at bellarinerailway.com.au/day-out-with-thomas. See you there! Can't make it? Day out with Thomas is also held in January, April and October each year. Visit the website for all the latest.